Killer Characters: Cruises: Floating Disasters or Great Fun? Cruises: Floating Disasters or Great Fun? But this time I wish I had protested a little more about this scrapbooking cruise she went on with Sheila and Paige. And I wish that I was wrong about the dangers of a cruise. But it turns out, of course, that I was right. Not only was there a murder on the ship (they are keeping a tight lid on that fact, calling it an “untimely death”) but now they are heading for a storm. I wish I had the confidence in the crew to say I feel like they will be able to navigate their way around this storm and they will bring my only daughter back home to me safely. And believe me, you don’t want to know why. The storm is one of those freaky ones that just popped up out of nowhere and is heading for the same spot in Mexico that the ship is routing to. And what makes it worse is that I can’t get a hold of her or and others on the ship. New-fangled computers and smart phones don’t help. They just make things worse. Annie has calmed me down a bit, telling me that this is the exact thing these sailors train for. They know how to navigate, to turn the ship around, and get the passengers to safety. I know Annie has a good head on her shoulders. But I wonder how calm she would be if that was one of her sons on the cruise. I’ve said it before and I’ll say it again, I hate cruises. They are floating disasters waiting to happen. Does he really believe that? I think he’s just trying to make me feel better. Afterall, he’s been following the path of the Jezebel even more closely than me. 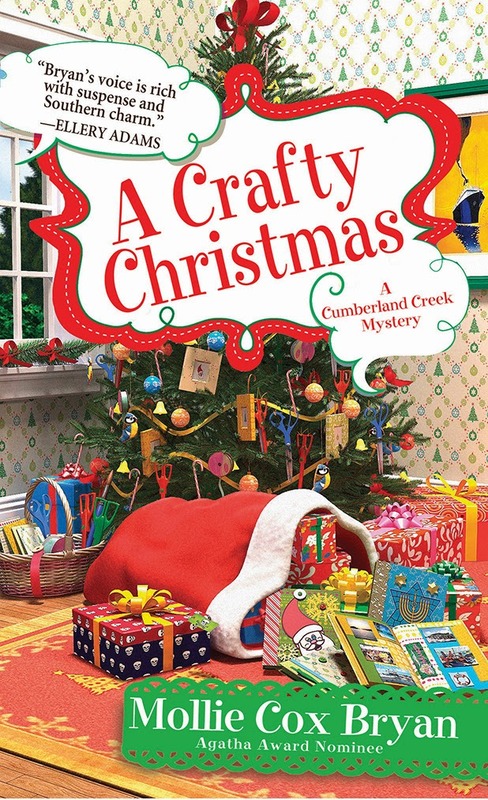 ***Enter Mollie's contest: review A CRAFTY CHRISTMAS on Amazon, B & N, or Goodreads and enter to win a chance to have a Cumberland Creek character named after you. Exciting premise, love to read about your daughter's adventures on the cruise, Beatrice. My kind of story, I did enjoy the one cruise I've been on.